Seat Lease Manila is the seat leasing service offered by Anderson Group BPO, Inc. Service includes flexible all-in pricing package, complete office setup, equipment, and more inside a PEZA & ISO 27001:2013 Certified building. Enjoy expanding your business in the heart of Manila’s Central Business Districts offering accessible, secure, affordable, and quality services with PEZA tax incentives. 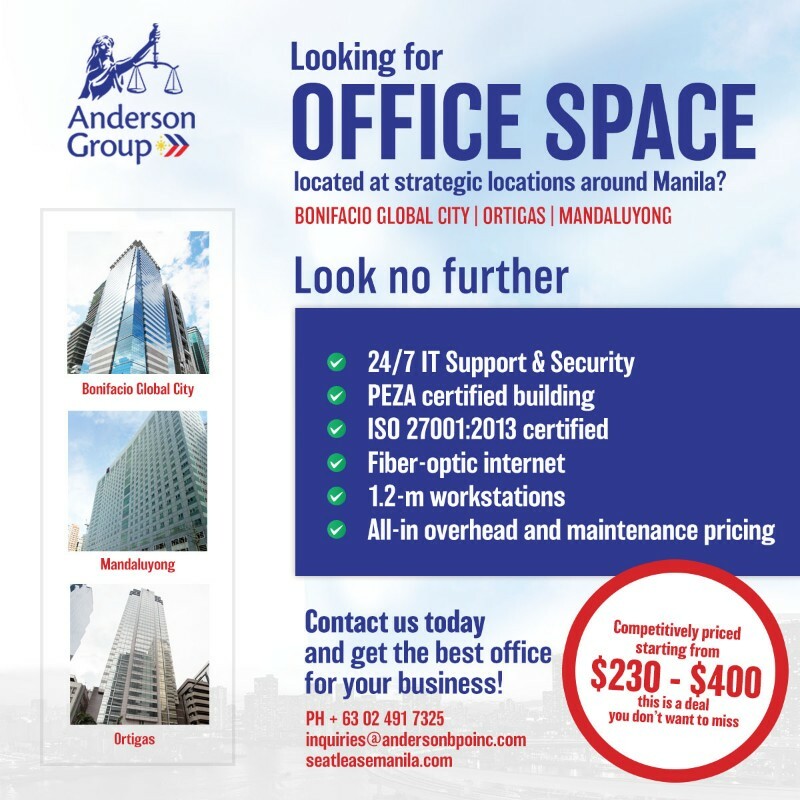 Choose from our offices in BGC, Ortigas, and Mandaluyong and see which location suit your needs best.